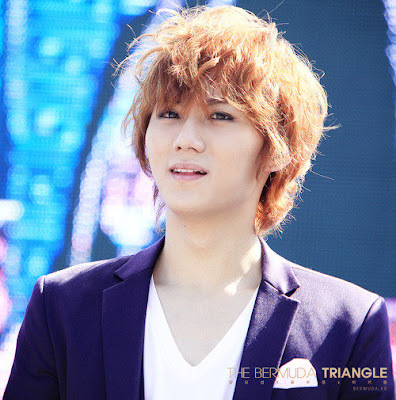 Jang Hyun Seung is a lead vocalist of Korean Boy Band Beast. 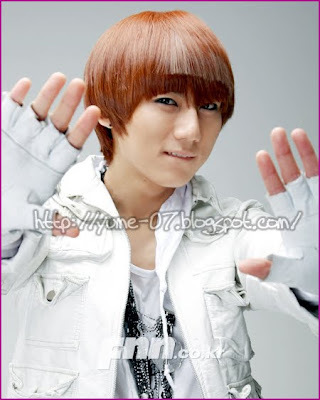 Hyun Seung first received media attention as a trainee under YG Entertainment, when he was preparing to debut as a member of Big Bang. He appeared in 10 out of 11 episodes of the Big Bang Documentary, but he wasn’t chosen to be a part of the final group formation by YG’s president. 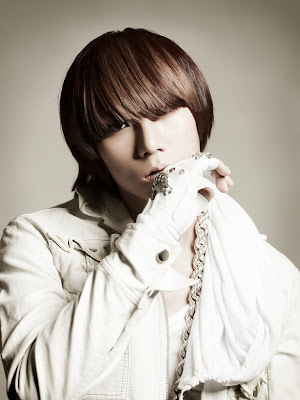 He received a lot of concerns from management when BEAST was being formed, as the first thing the members were instructed to do was have Hyun Seung gain weight. 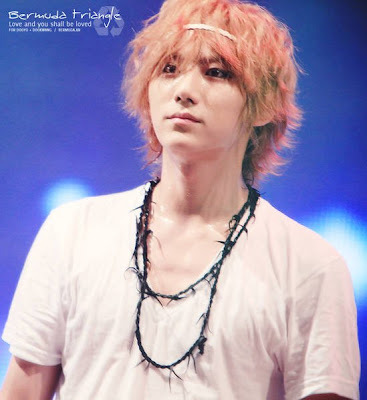 Until now, still many fans questioned Jang Hyun Seung with his failure entering Big Bang group. But it has already been the past. 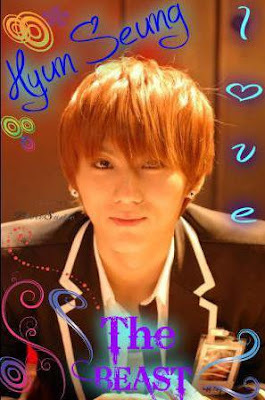 Now, Jang Hyun Seung has a good career in Beast. Why did Jang Hyun Seung get cut from big bang? Jang Hyun Seung got cut because pre-debut of Big Bang, in episode 9 of their documentary, there was a competition between SO-1 and Seung Ri. YG chose Seung Ri over SO-1 because they thought SO-1 didn’t have the “star quality” that Seung Ri did. In other words, SO-1 was too shy to be a big enough stage prescence, and he lip-synced rather than actually sang. 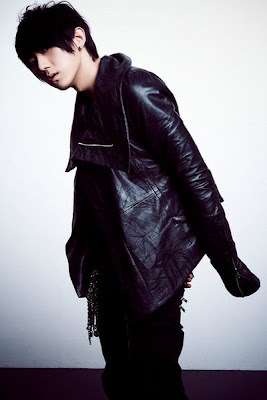 I personally like SR, but SO-1 was so cute..
Jang Hyun Seung is formerly known as Big Bang’s So-1. Cube Entertainment’s newest group BEAST (formerly known as “B2ST” ) celebrated their immediate debut with, what else, a showcase. The group performed a variety of songs from their debut album, including a live ballad “Oasis, and fellow company group 4minute made an appearance. However, the most gossip-worthy moment of the night came courtesy of G-dragon who left the group, specifically Jang Hyun-seung, a congratulatory message. I’ve never thought that G-Dragon has this extent of having this attitude of showing support for erstwhile fellow YG Trainee/BigBang aspirant Jang Hyun-seung. For those who are new to K-pop scene (actually, it’s these most recent times when I get hooked onto K-pop boybands), there was a show called THE BIGBANG DOCUMENTARY wherein there will be 6 trainees will undergo gruelling training and selection to YG Entertainment’s BIGBANG. Initially, YG wants to select only 4 members until under some circumstances, in ended up 5. 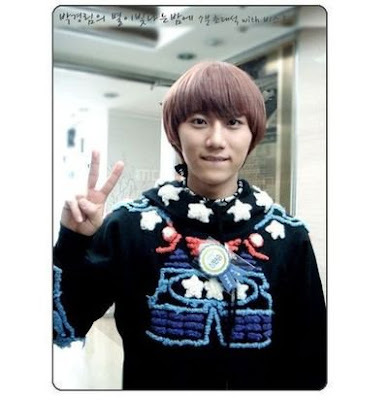 Jang Hyun-seung was one of the trainees together with Kwon Ji-yong (G-Dragon), Dong Yong-bae (Taeyang), Kang Daesung, Lee Seung-hyun (Seung-ri) and Choi Seung-hyun (TOP). 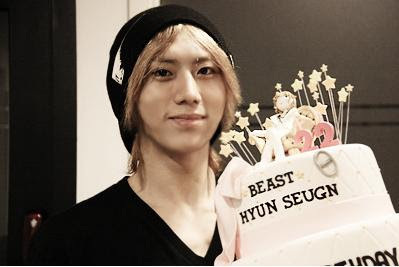 BEAST‘s powerful vocalist, HyunSeung, celebrated his birthday yesterday with his fellow members and fans! 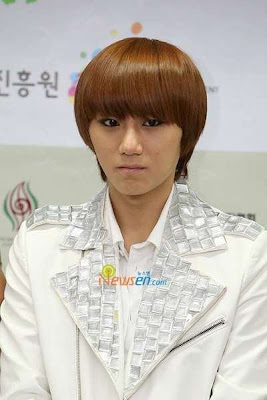 On September 3, HyunSeung finally turned 21 years old (22 in Korean age). This being his first birthday since his debut with BEAST, everyone wanted to make this birthday was particularly special! Happy Birthday, HyunSeung! We hope you made lots of unforgettable memories on your birthday! I’m sure that we all know the rookie boy group from Cube Entertainment, BEAST. According to the members of BEAST during interviews, they stated that Hyunseung from the group has a really pretty younger sister whom he takes care of really dearly. A picture of Hyunseung’s little sister, Jang Geurim, has been leaked out onto the internet. 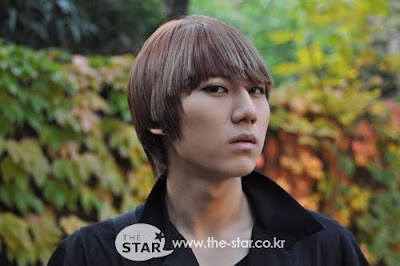 Jang Hyun Seung’s sister name is Jang Geu Rim.